← 2 hours well spent and a journey begun……! Today was my first day teaching at the Puttenhalli govt. school. Even though I have been volunteering to teach a few kids from a government school at home, my visit to the school (thanks to Vasanti and Shlok) put the real standard of education and environment in a government public school in perspective for me. Reality struck me when I realized that majority of the kids are way behind with respect to learning English than they should be. A child in a private school of the same age is much more confident and able to articulate and communicate ideas much better due to the single reason that English education is practiced and well-disseminated in private schools, but not so much in government schools. 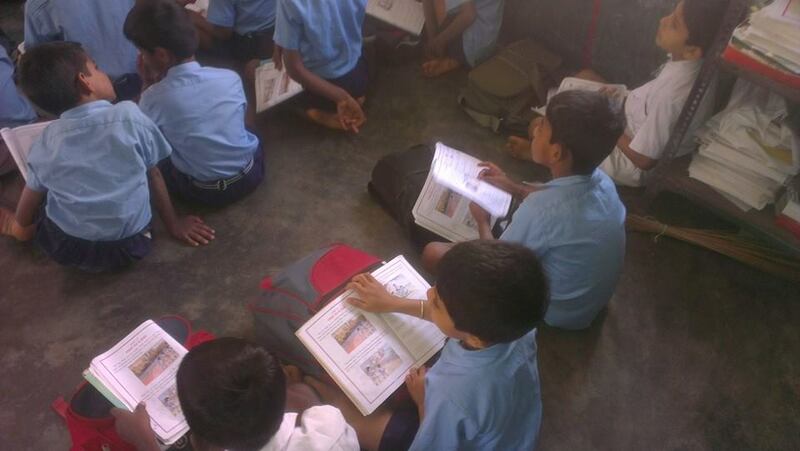 Teaching kids requires a lot of patience – because I don’t know Kannada too well. To break the language barrier, as a suggestion, we can implement some kind of visual-aided teaching methods through the internet to benefit the children. Although it will be very difficult for me to interact with the kids due to my language problem, I am willing to try my best. Another suggestion is for us to teach Math, where I feel language of communication may be less of an impediment. These children need our help and we need patient volunteers. I am sure Shlok is on the right path to making a difference. I see hope and a bright future in these children. PS : The YOUTH FOR SEVA ORG. has some kind of training program for volunteer teachers. Perhaps one could contact them for some details. This might be available for free. Posted on January 29, 2014 by shlokorg	• This entry was posted in Social service. Bookmark the permalink.